We are planning a second Thanksgiving feast for family members here in Panama. Brenda has several relatives in this country and has invited a total of 12 people for dinner (we discovered tonight that we don’t have enough chairs). Pictured is last year’s thanksgiving dinner. To share a little of our life in a foreign country, let me share some of our adventure in planning and American Holiday meal while living outside America. Remember, we do not have a car so we simply can’t run errands like most of you. A trip to the grocery stores is not as easy as getting in your car and driving to minutes to the nearest one. Also, please read these as stories, not complaints. It’s easy to put a tone of voice into writing. Brenda wants to make yams with marshmallows. Three groceries stores didn’t have them. b) the store may not cater to Americans so there was no “stocking up” on normal inventory. 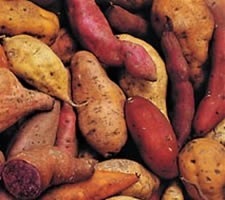 c) Sweet potato is not a popular food and just not stocked in bulk. Thus, the attempt to locate sweet potatoes resulted in having to settle for finding some in cans. At the 3rd store, Brenda found some. If you live in the USA, you likely take it for granted that come Thanksgiving, you can find lots of seasonal canned goods like the filling for pumpkin pie. I can guess that pumpkin pie filling is not a common flavor here. Four grocery stores later, we finally find a can of imported pie filling. It wasn’t located where we thought it would be (with the other pie fillings like cherry, lemon, or blackberry), but located above the freezer case next to the Imported Pop-Tarts and Triscuits. It is so huge that it actually made three pumpkin pies for our early thanksgiving celebration. Simply put, can’t get it. Corn on the cob here tastes nothing like corn on the cob in the USA. We just don’t eat it here. We have bought some frozen corn on the cob, but it’s institutional quality and not a big hit with our family. Though we can’t expect to have the same benefits of living in America, there are some things we simply miss. Silver Queen Corn is one of those. 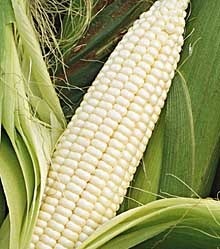 During our road trip in Summer of 08, we asked for lots of Silver Queen Corn. 4. Ready Made Pie Shells. Shopping in two cultures shows a big difference when it comes to frozen food, or ready made pre-frozen items. Here, we have not run into Lean Cuisine frozen meals, or anything of its kind. 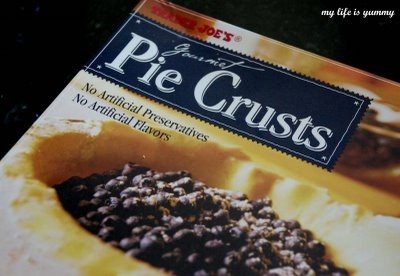 Likewise, we have not encountered pre-made pie shells in the freezer case. This means making them from scratch. While that is not difficult, having the ingredients on hand when they are needed is not always the case. For example: shortening. We had run out. Last night, we discovered that we didn’t have any in the house so that means yet another trip to the grocery store. Thinking of you as you celebrate Thanksgiving with immediate and extended family today. 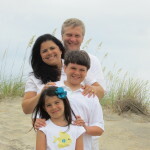 Thanks for sharing the challenges that arise in another culture. Tis so easy to take things for granted. I’ll be sharing the day with friends tomorrow… Making lots of deviled eggs… my specialty.